Ngor (Tib. ངོར་, Wyl. 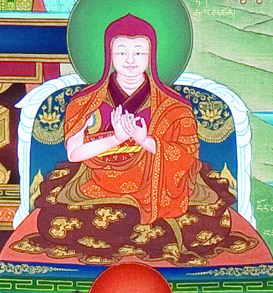 ngor) — one of the two main subschools of the Sakya tradition, founded by Ngorchen Kunga Zangpo (1382-1456). It is characterized by its rigorous discipline and knowledge of the tantras. It is famous for the so-called 'Seven mandalas of Ngor': Guhyasamaja, Hevajra, Chakrasamvara, Vajrayogini, Vajrabhairava, Sarvavidya and Mahakala. Luding Khen Rinpoche, one of the sons of Jetsün Kushok Chimey Luding, is the present head of this school. This page was last edited on 3 July 2017, at 05:51.